Oblivion – the state of being unaware or unconscious. Which is what the recent Tom Cruise movie focused on: life in the unknown because one does not, or cannot know better. The story line was fairly simple, yet the moral of the story is, in itself, quite ambiguous. 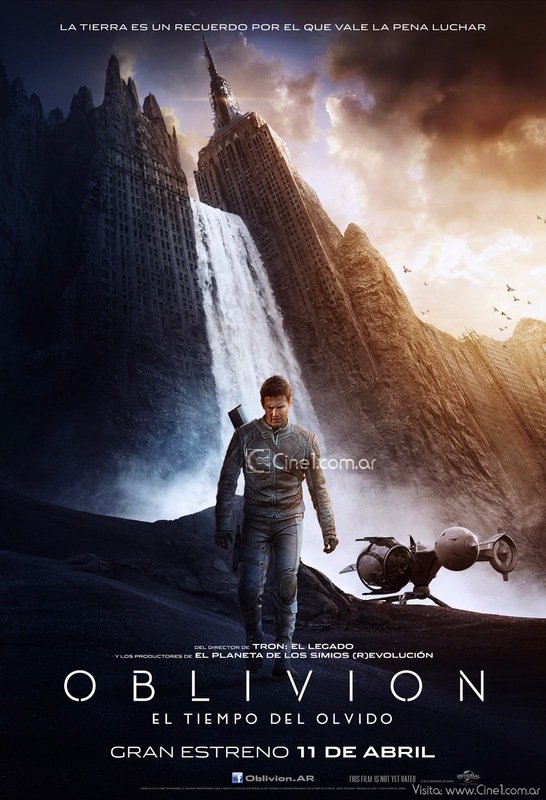 Perhaps not all stories ought to have a moral, yet the theme on its own reflected the title: Oblivion. Symbolism, however, was ever so prevalent. The symbolism of a robotic society, where each and everyone does as he is told, with no questions asked. It’s a post-modern, capitalistic mindset: that one must strive to achieve the “goal” with no deterrence along the way. Tom Cruise’ character, as almost all of his recent films, plays the hero who challenges the “norm” and decides to go rogue. Known for his hits, the Mission Impossible series, Cruise portrayed the spy character effortlessly. Yet, the contrasting character in Oblivion did not depict a vibe to that standard. The soundtrack, however, is possibly the one motivation for me to consider seeing it a second time. The setting of the movie had very little colour, which is why the soundtrack played a large role in its presentation. Being a blockbuster, the endings are often rather predictable, but for once, the hero should die a heroic death and stay dead. Similar to that of Mission Impossible III, Cruise dies. And revives. Just once, please kill the hero. We’re like diamonds in the sky.